Every designer creates original work that is protected by copyright. Whether you're creating logo design, web design or other types of graphic design, you should take the time to understand and protect your rights. Crowdspring is committed to education and we're very happy to share this handy resource for designers: Contracts For Designers Who Hate Contracts. It's a quick, 20 page read and we've shared a template agreement that you can modify for your own use. Crowdspring is the world's best creative team, offering services ranging from graphic, web and industrial design to copywriting services (company name, product name, and web content, among others). Learn more about crowdspring here. 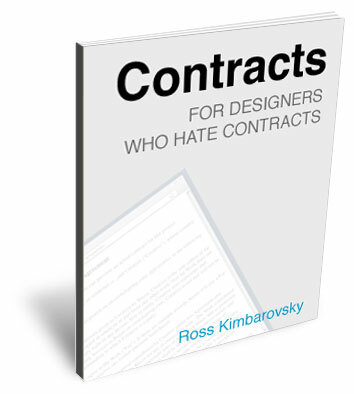 You might also be interested in downloading our other free e-book: Contracts For Software Developers Who Hate Contracts.